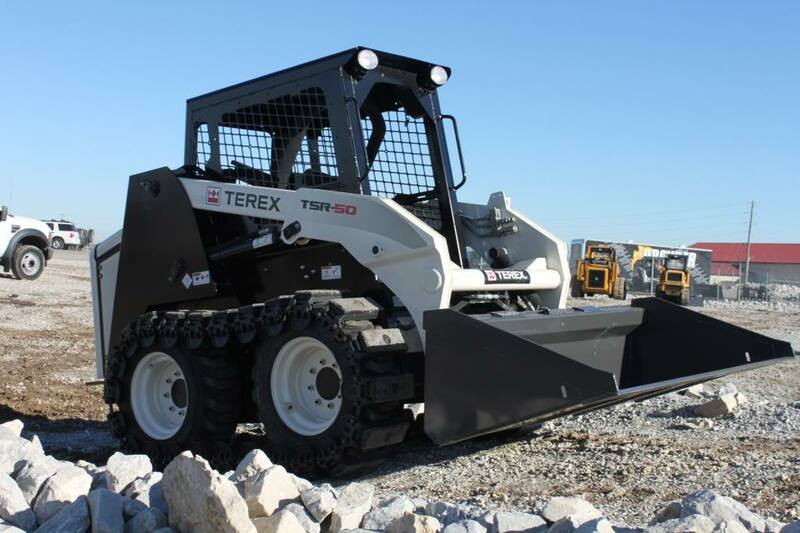 Do you want to improve the traction and flotation of your skid steer? 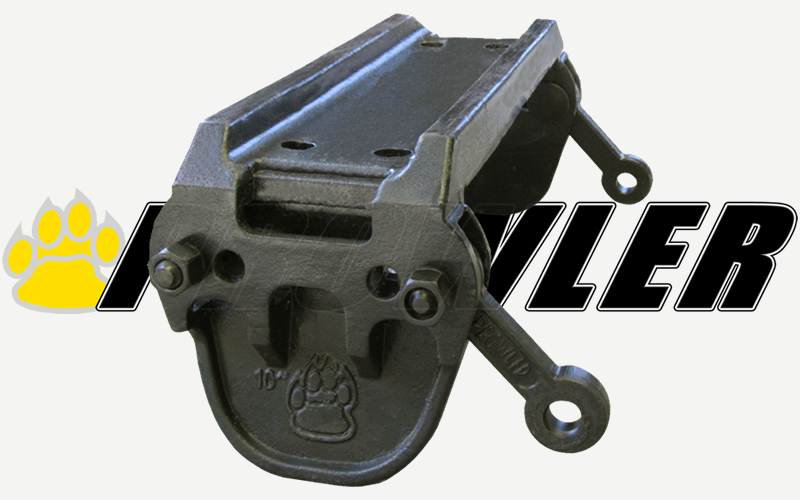 Let us introduce you to the Prowler over-the-tire track systems (OTT). 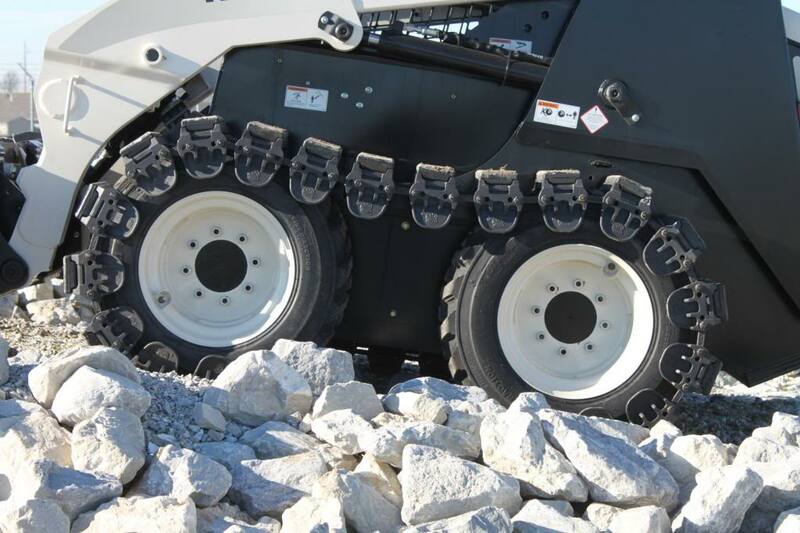 Built of high chromium and manganese steel components, our over-the-tire track systems are designed to withstand extreme conditions and provide hundreds of hours of service. 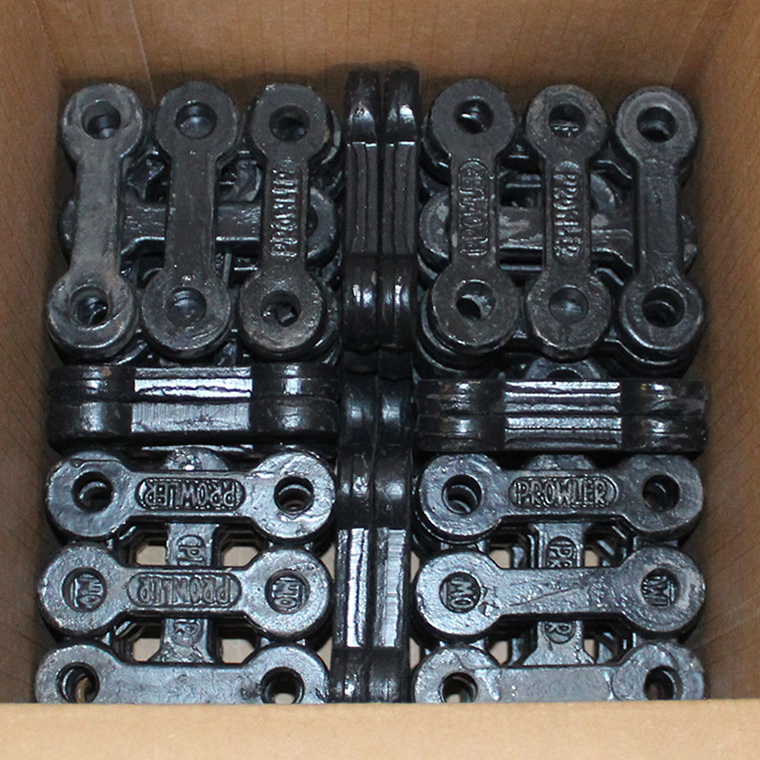 These tracks are also very cost effective, as all components are replaceable. Each set comes with a free installation kit and can be installed in less than an hour, under ideal conditions. 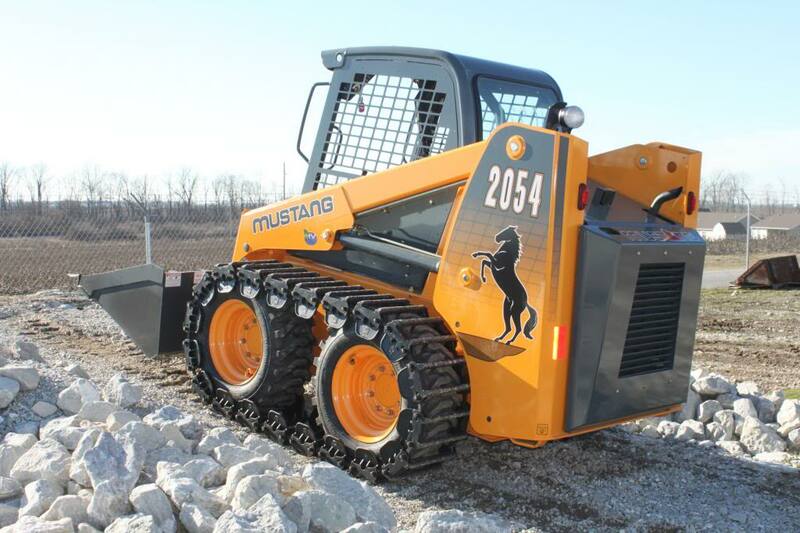 We also offer the Best Skid Steer Tire for Over The Tire Tracks, the Carlisle Guard Dog HD. 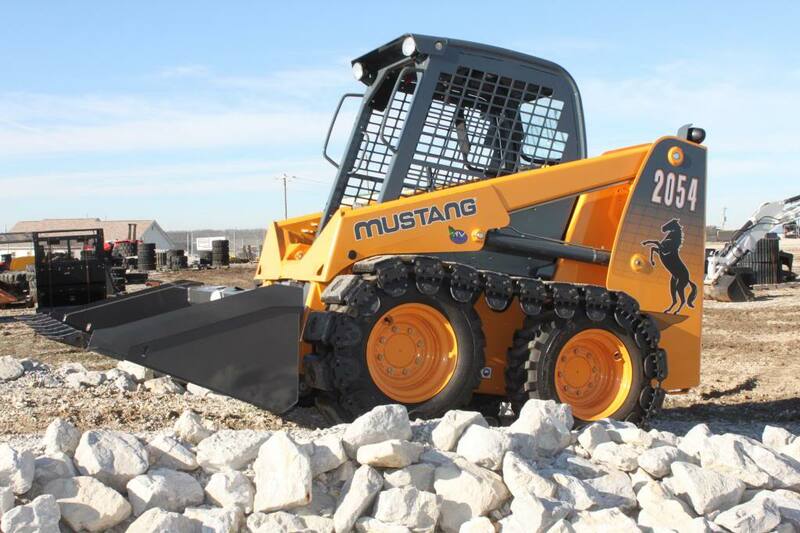 Best sure to check the condition of your tires to make sure you get the most efficiency out of your new skid steer tracks. Download our OTT Installation Manual for a Step-by-Step guide on how to safely, and properly install our track systems. 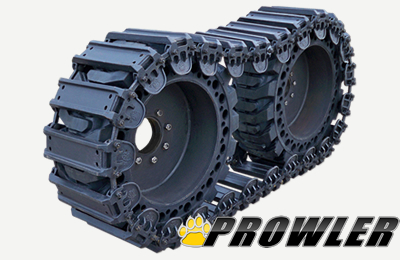 The Prowler Predator steel track system is an economical way of equipping your skid steer loader with OTT tracks. 10 and 12 inch Predators are available for under $2000! A set of Predators provide increased flotation in muddy conditions, as well as serious grip and traction in rough, uneven terrain. 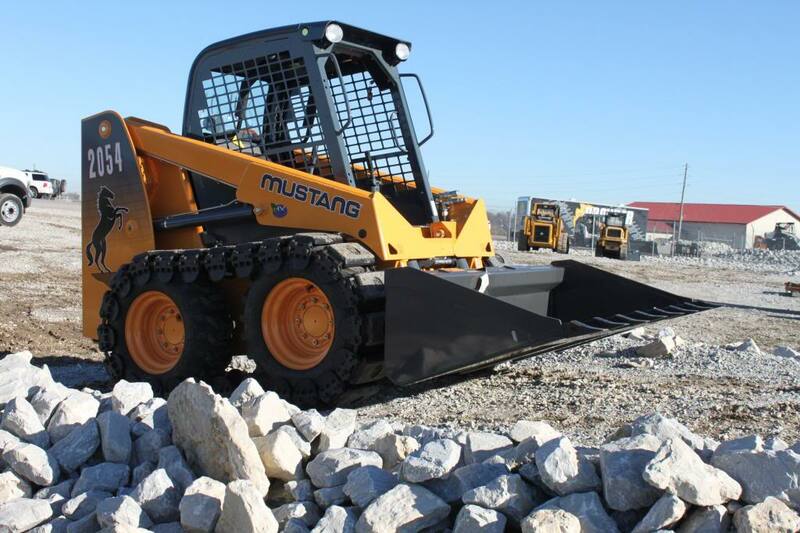 The open double bar design allows for easy displacement of soft soils and debris during normal operation. 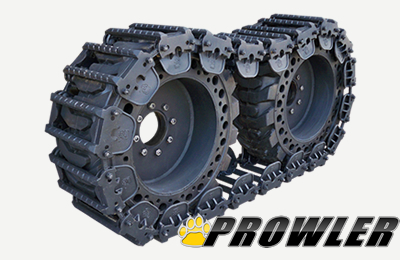 The Prowler Stealth OTT system provides the highest flotation while traveling over sand, loose gravel and mud. 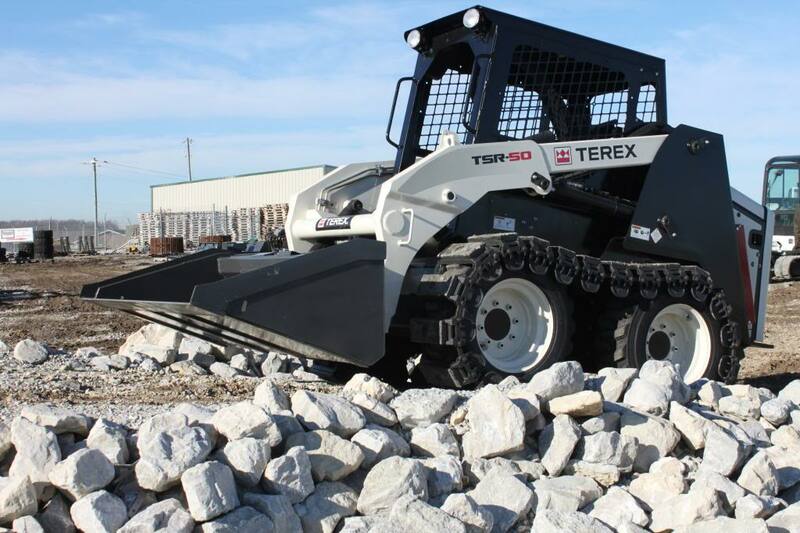 The easily replaceable rubber pads provide a smoother ride for the operator, while eliminating damage to asphalt, concrete and other sensitive surfaces. 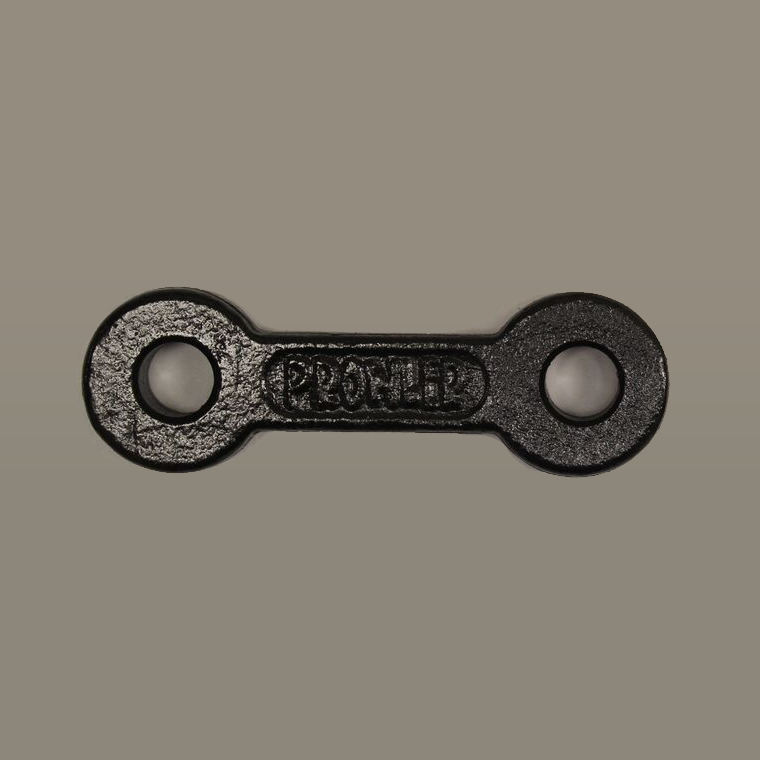 The high quality rubber pads provide many hours of worry-free service. 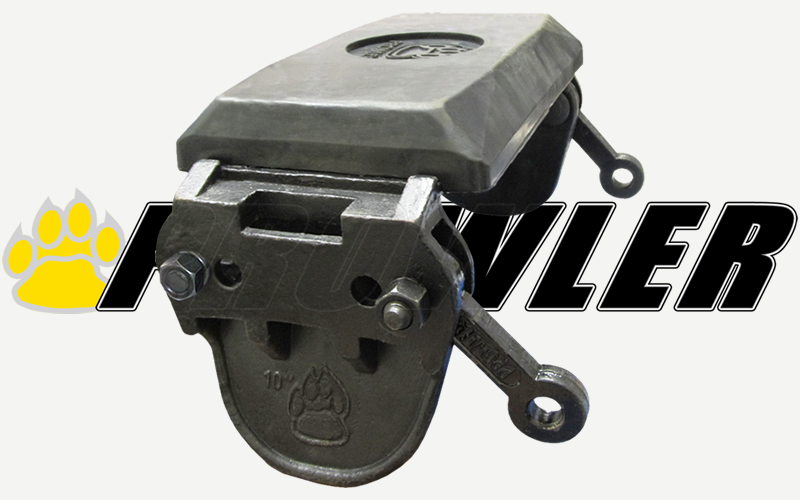 Four bolts secure each rubber pad to the steel chain, making it easy to access and replace the pads as necessary. 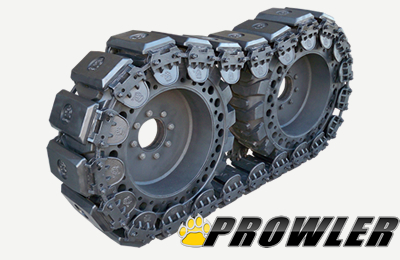 The patented Prowler Fusion is the industry’s only 2-n-1 over-the-tire track system. The Fusion system consists of a double grouser steel track design with optional bolt-on rubber pads. 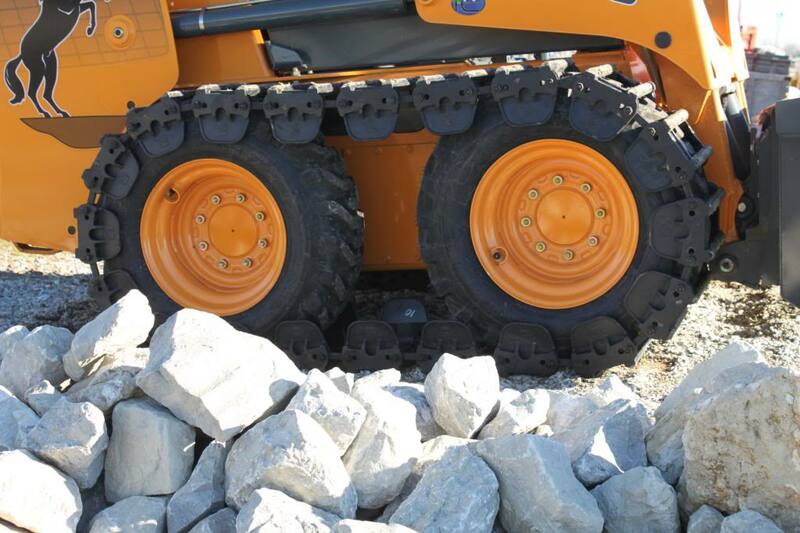 When operated with the high durometer rated rubber pads, the system provides results similar to our stealth track system: high flotation coupled with a smoother ride and protection to sensitive surfaces. 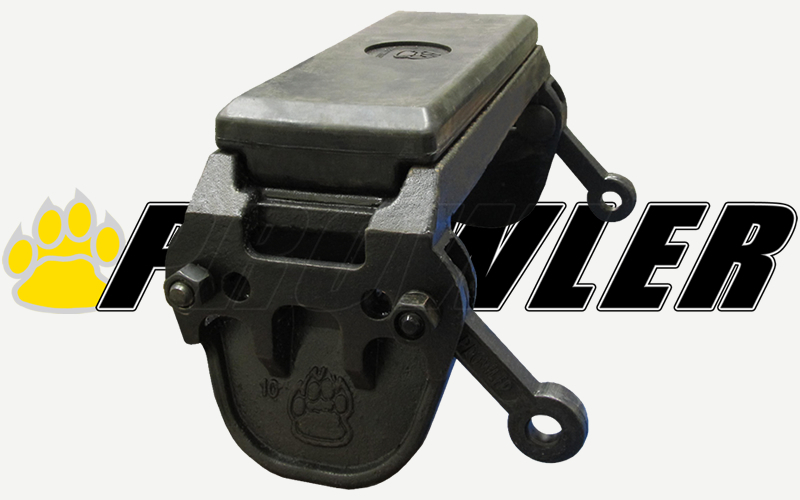 The Fusion rubber pads can easily be mounted and dismounted by one person. 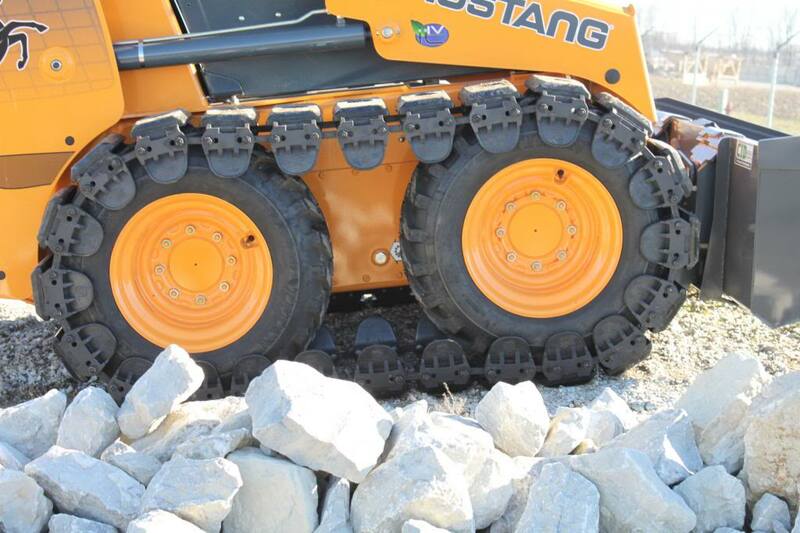 When used without the rubber pads, the fusion tracks offer performance similar to a steel excavator or dozer track. 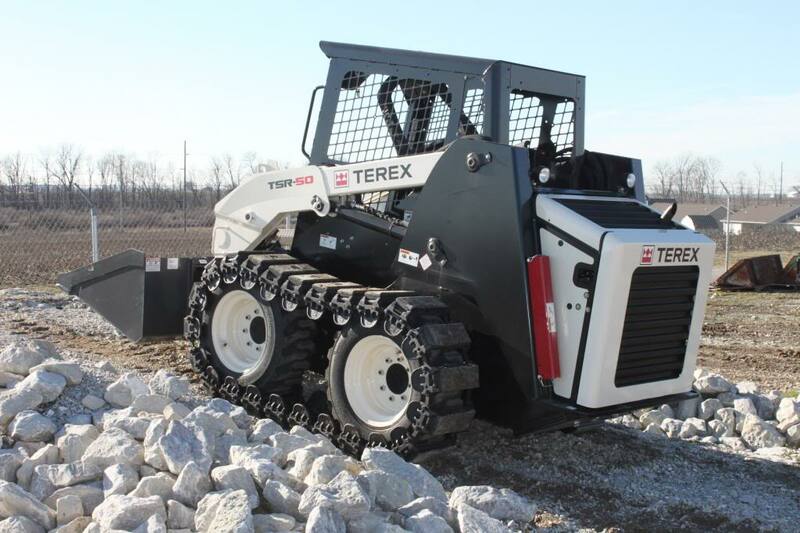 *Although Prowler OTT tracks (or any Over the Tire Track brand) are compatible with our ProFlex and other brands of Solid Skid Steer Tires, this is only recommended in extreme circumstances. 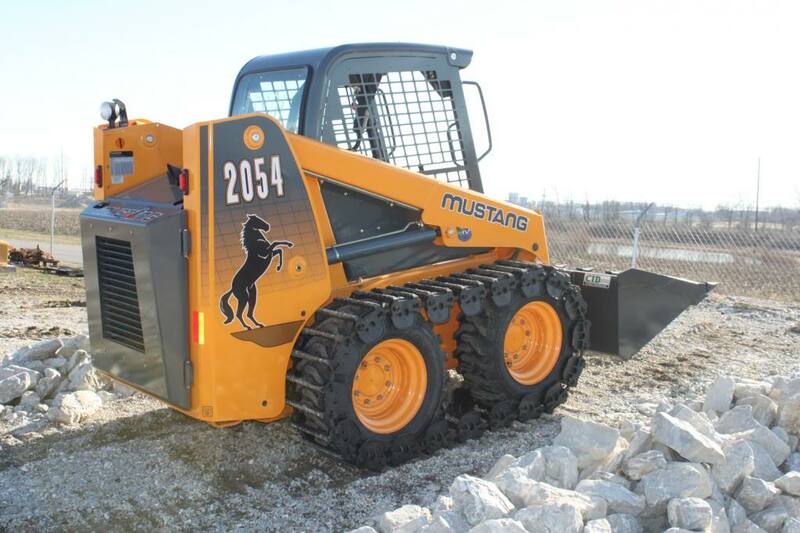 When operating your skid steer with an over-the-tire track system, it is recommended that you use pneumatic tires. 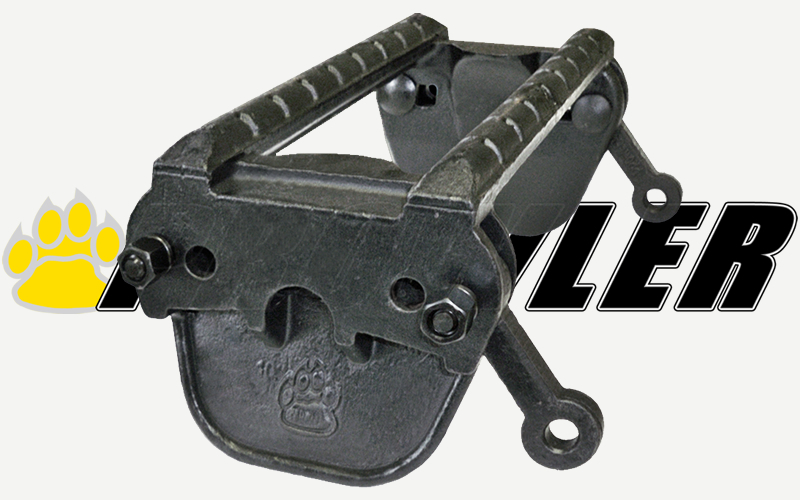 This helps reduce stress on your axle and seals in the event that an object becomes lodged between your track and tire. We have seen wheels shear through the studs because of the extreme pressure caused by this. Use caution! 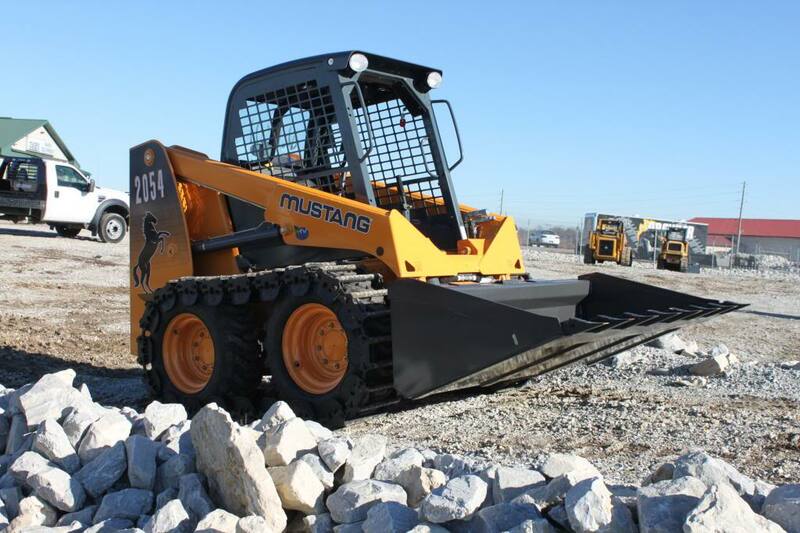 Our Skid Steer Over The Tire Tracks can be completely rebuilt. After 600 – 700 hours of use, you should start to consider rebuilding your OTT system by inspecting the wear parts which are the Pivot Arms (i.e. “dogbones”), and the Bolt & Nut assembly. 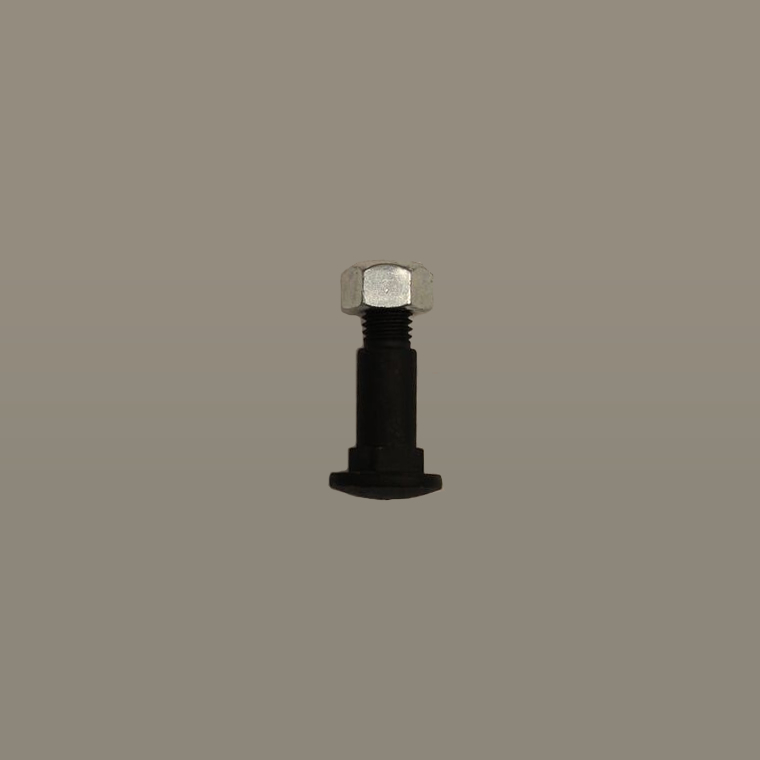 If you see that the bolt holes in the Pivot Arms start to become larger or egg shaped, or the bolts are starting to become thin (1/8th to 1/4 inch or more) it may be time to invest in one of our replacement kits. 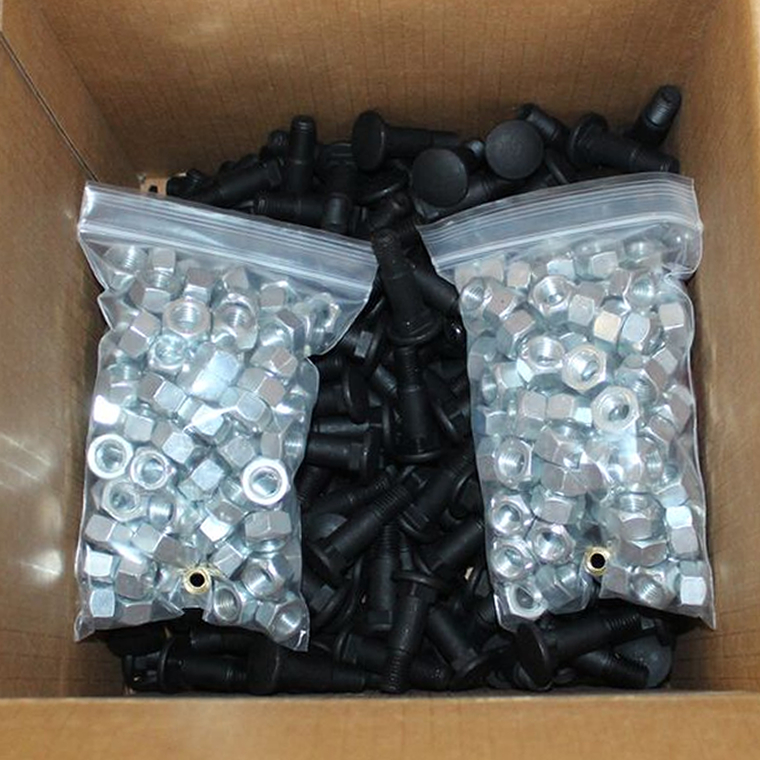 Our rebuild kits are shipped in two (2) 10x10x10 boxes totaling 112 lbs and cost approx. $440.00 (includes shipping). These kits fit any of our three Prowler OTT options. Prowler over-the-tire tracks were put to the ultimate test on the Discovery Channel. Voodoo Choppers and Alternative Automotive Technologies went head to head in competition to build two pick-up truck tanks. 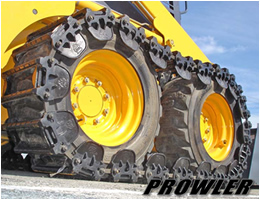 Prowler OTT systems were fitted to each truck, providing them with necessary traction and flotation. Our tracks were put through extreme abuse but did not fail, as you can see in these clips from the show! 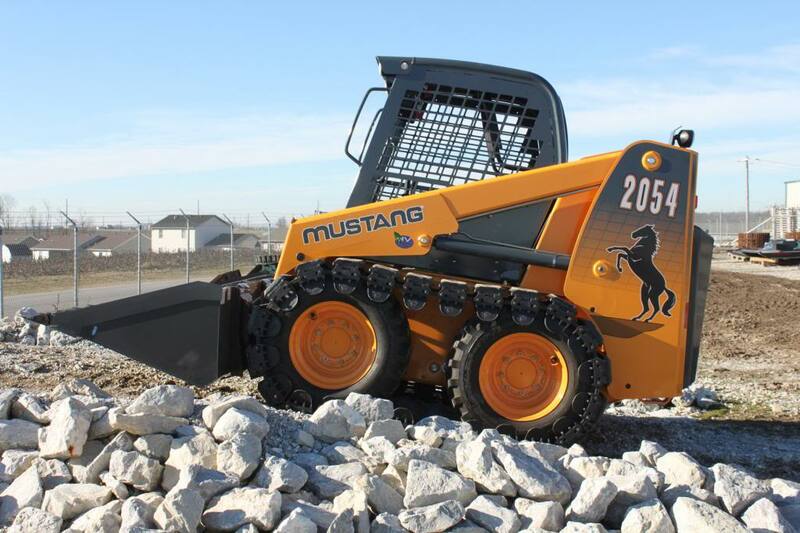 We do not recommend using Skid Steer OTT’s for this type of application. This project was performed by professionals under strict supervision.